Don’t pay for boxes and packing paper if you don’t have to; instead begin collecting them days or weeks in advance. This will help keep costs down and allow you to get started earlier. Avoid waiting until the last minute to reserve your van or truck, as it will only leave you with fewer options and cost more money. Begin donating items you no longer need or want to your favorite charities, or sell them at a yard sale or online well before your move. You’ll make the move easier and generate a little more money for the future. Movers are generally extremely busy at the beginning and end of months, so scheduling a mid-month move will ensure quicker response time from them. Also, fall and winter are off-season for movers, so it you are flexible, consider moving during these two seasons. Movers will not transport any hazardous materials or perishable items. In addition, they will not move personal items such as money, keys, medicine, software or personal files and may refuse to move irreplaceable items such as jewelry, antiques and photo albums. As you can imagine, it is important to be clear about all of these stipulations well before your move. Ultimately, as with anything, preparation is the key when moving cross country! We are the special forces of moving companies. 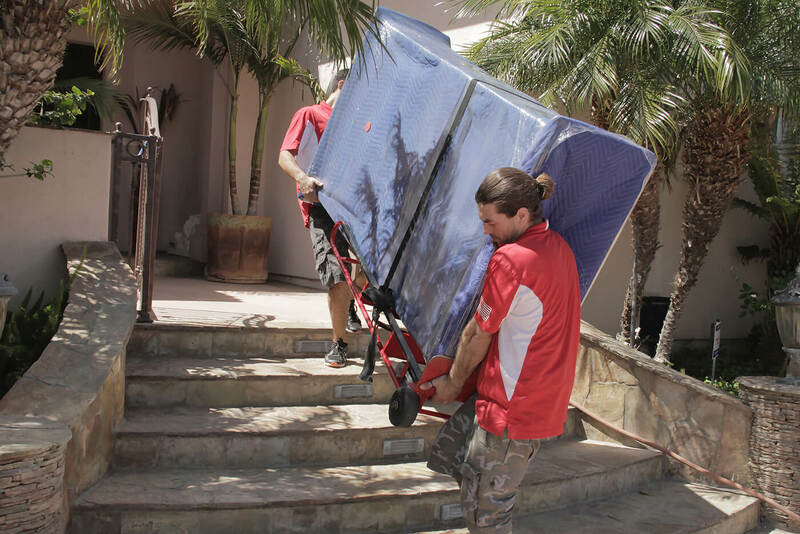 Our moving service remains one of the top options in the Greater Los Angeles Area, thanks to our unparalleled dedication to professional, affordable options that make customers happy.